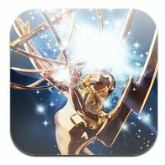 2012 Emmy Awards App Will Show What’s Going On Back Stage! The 64th Primetime Emmy Awards will air live this Sunday on ABC. What most of us will be watching is the onstage theatrics. But the really interesting action may be going on off camera… and that’s where the newly updated 2012 Emmys app comes into play. The app, which is available for the iPhone or iPad, will provide users with info and action that won’t be available to regular TV viewers. Before the start of the show, app users can access a list of nominees, read bios, and check out photos and videos of the actors and their shows. They will also be able to use the My Pick tab to predict the winners in each category, then compare their scores to those of their friends and family on awards night. Once the show begins, the Emmys app will update in real time. Users will be able to watch TV while using the app on their iPhone or iPad. Dual screen live action! Backstage LIVE will present an exclusive feed from the wings, through the app, so users will get to see how the winners really feel after walking away with television’s most prized trophy! * Videos and photos from past shows. * Up top the minute coverage from the Primetime Emmys and other Academy related events.hows (more than 900 videos and over 10,000 photos) as well as photos/videos from nominated shows and celebrities. * Video clips including Red Caret Fashion and interviews, Webcast replays, acceptance speeches, Thank You Cam, and Behind-The-Scenes with Emmys Magazine. The app also connects easily to both Facebook and Twitter so users can share comments throughout the show. The app is free and available now through iTunes. No iPad/ iPhone? The action may be followed through the Emmy’s social media accounts at Twitter and Facebook. Or through the Emmy’s social media hub. The 64th Primetime Emmy Awards kicks off live on September 23 at 7 pm ET / 4 pm PT only on ABC.